Most people on opiate substitution therapy were successfully treated for hepatitis C with an interferon-free regimen of grazoprevir/elbasvir (Zepatier), and only a small number became reinfected during three years of follow-up, researchers reported yesterday at the 25th International Harm Reduction Conference (HR17) in Montréal. Hepatitis C virus (HCV) is easily transmitted through shared drug injection equipment. The advent of new direct-acting antivirals (DAAs) used in interferon-free regimens has transformed hepatitis C treatment. But due to their high cost, many providers, insurers and government payers have made people who inject drugs ineligible for therapy, even though they make up a large proportion of the population living with HCV. "In many countries there are still restrictions based on drug and alcohol use criteria, which is a human rights violation," said Jason Grebely of the Kirby Institute at the University of New South Wales. "We really need to be working to build the evidence base around how people can be successfully treated with these new DAAs." Grebely presented long-term follow-up results from the C-EDGE CO-STAR study, a multinational Phase 3 trial evaluating Merck's HCV NS3/4A protease inhibitor grazoprevir and HCV NS5A inhibitor elbasvir. People who inject drugs have typically been excluded from clinical trials of new hepatitis C therapies, and CO-STAR was the first randomised controlled trial that specifically looked at treatment of injection drug users receiving opioid substitution therapy (OST), Grebely said. C-EDGE CO-STAR enrolled 301 previously untreated people with hepatitis C with HCV genotypes 1, 4 or 6. About three-quarters were men, most were white and the median age was about 45 years. Around 80% had genotype 1a, one in five had liver cirrhosis and 7% had co-infection with HIV. Participants were required to be on stable OST using methadone or buprenorphine for at least three months at study entry. Urine drugs screens were done regularly, but people were not excluded from the trial if they continued to use illicit drugs, as over half of them did. In Part A of the study, participants were randomly assigned to receive either grazoprevir/elbasvir or placebo once daily for 12 weeks, at which point the study was unblinded and placebo recipients were switched to grazoprevir/elbasvir on an open-label basis. Follow-up continued to 52 weeks. As previously reported, 91% of people treated with grazoprevir/elbasvir in the immediate and deferred groups combined achieved SVR12, or undetectable HCV RNA at 12 weeks after completing therapy, in an intent-to-treat analysis that counted people who were reinfected as treatment failures. In a modified analysis that counted people who were cured and then reinfected as successes, the SVR12 rate rose to 96%. These cure rates were comparable to those seen in studies of people who were not injection drug users. Treatment adherence was high (97%) and also similar to what was observed in previous studies. Grazoprevir/elbasvir was generally safe and well tolerated, and people on OST did not have more adverse events or side-effects than others treated with the regimen. In Part B of the study, participants were followed for three years. They had visits every six months to assess HCV viral load, and if positive, viral sequencing to compare the original virus to the recurrent virus. Having different viruses indicates reinfection with a new virus rather than late relapse or re-emergence of the original virus. Urine drug screens were done and participants were asked about their drug use and related behaviours. Of the 301 participants in Part A, 199 enrolled in Part B. Of these, 192 people completed six months, 161 people completed 12 months and 17 people completed 18 of follow-up. Drug use stayed about the same during follow-up. At the time of enrolment in Part A, 23% tested positive for cannabis, 22% for benzodiazepines, 21% for other opioids, 10% for cocaine and 6% for amphetamines. At enrolment in Part B, the proportions testing positive were similar: 26%, 23%, 26%, 11% and 8%, respectively. Overall, 59% tested positive for any drug at six months, compared to 56% at initial enrolment. With regard to self-reported drug use, 21% said they had injected drugs in the previous month and 25% had done so in the past six months; 39% and 42%, respectively, reported using non-injected drugs. Among participants who reported injecting any drugs within the past month, 81% said they used sterile syringes all the time, 17% did so most of the time and one person said they never used a clean needle. No one reported receptive sharing, or using a needle after someone else had used it. However, 42% said they had used other injection-related equipment or supplies after someone else, including spoons, filters and water. Looking at HCV reinfection, five participants were reinfected through week 12 of follow-up, one more by week 24, and two more by six months, for a total of eight reinfections, or 4.0 per 100 person-years. But three of these people spontaneously cleared the new virus, so the rate of persistent reinfection was lower, at 2.5 per 100 person-years. Those who cleared HCV did so very quickly, Grebely said. Prior studies have shown that 10 to 25% of people clear their initial HCV infection. The reason for the higher reinfection clearance rate seen in this study might offer clues for vaccine development, he suggested. These results, Grebely concluded, support advocacy efforts to expand hepatitis C treatment for people who inject drugs. He stressed the importance of scaling up treatment quickly to reduce the prevalence of HCV in this population, which would result in less reinfection. 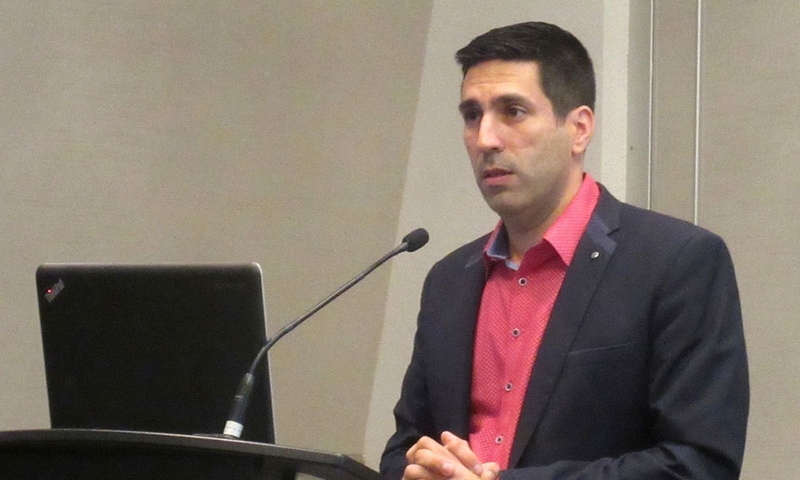 At another conference session on community-based hepatitis C treatment, speakers said they did not want to focus on or study reinfection because it can be used as an excuse for not offering treatment to people who continue to inject drugs. The fact that some people get reinfected reflects a lack of adequate harm reduction services and ready access to clean injection supplies, they argued. Getting more people treated and cured would also reduce the risk of reinfection. "Reinfection is not about being careless, it's about education and the availability of appropriate health care," said Mary Ellen Harrod of the New South Wales Users and AIDS Association. Grebely J et al. HCV reinfection and injecting risk behavior following elbasvir/grazoprevir treatment in patients on opioid agonist therapy: CO-STAR THREE YEAR FOLLOW-UP Study. 25th International Harm Reduction Conference, Montréal, abstract 1043, 2017.